I don’t know when I let poetry slip away from me. Or rather, I let myself slip away from poetry, but like most things that are at our cores, poetry was not done with me. I signed up as a PoMoSco — best explained by the folks who started it. 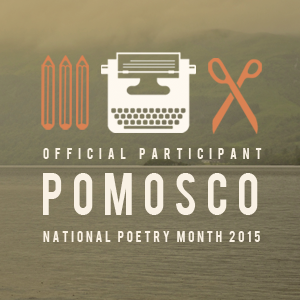 PoMoSco — short for Poetry Month Scouts — is the Found Poetry Review’s 2015 National Poetry Month project. This April, 213 poets representing 43 states and 12 countries are joining together as a troop to earn digital merit badges for completing experimental and found poetry prompts. If you’d like to follow my month-long journey in found poetry, just follow your nose.